The Ministry of Defence has awarded a helicopter support contract worth £580 million to Somerset-based AgustaWestland. The deal, which will provide maintenance support to the Royal Navy’s Merlin Mk2 and Mk3 helicopters over the next five years, will also sustain more than 1,000 jobs. The new contract is expected to deliver more than £140 million savings over that time. 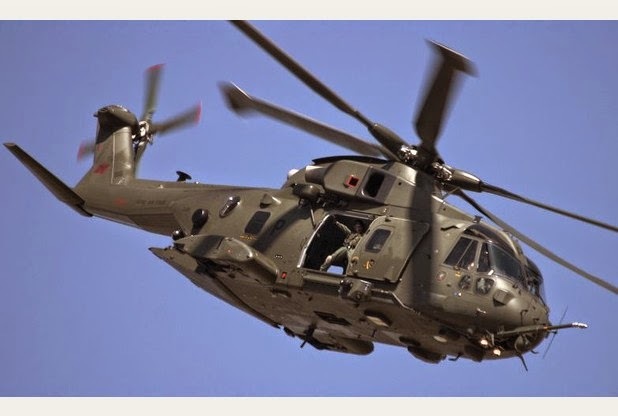 Many of the jobs the contract will sustain are located at AgustaWestland’s facility in Yeovil and at the Royal Navy Air Station in Culdrose, Cornwall, where the depth maintenance and the Royal Navy's Merlin training system are located. Defence Minister Philip Dunne said: “Our fleet of Merlin helicopters has benefitted from considerable investment by the MoD through major upgrades in recent years. “This new contract will ensure we can continue to deliver flexible capability to meet the needs of our Armed Forces, as well as excellent value for money for the taxpayer. The Merlin support contract follows the MoD’s recent announcement that it is providing our Armed Forces with one of the most capable and technologically advanced helicopter fleets in the world, with a host of new or upgraded aircraft made ready for operations over the last 12 months. This includes the Merlin Mk2 anti-submarine helicopter which achieved its In Service Date on May 29 2014, ahead of schedule and to cost, with 19 of 30 aircraft so far delivered to the Royal Navy at RNAS Culdrose in Cornwall. The Merlin Mk2 helicopters will operate globally, and are expected to be based on the Royal Navy’s next generation Queen Elizabeth class aircraft carriers, along with the new F-35B Joint Strike Fighter aircraft, as well as onboard frigates, destroyers and support ships. Director helicopters, Air Vice-Marshal Julian Young, at the MoD’s defence equipment and support organisation, said: “The Merlin is an important part of our overall Helicopter Force, providing a variety of specialist and general roles in all weathers over land and sea. The Merlin Mk3 is a Battlefield Support helicopter of the Royal Navy Commando Helicopter Force. Hugely successful in the Iraq and Afghanistan Campaigns, it can carry a range of cargo either internally or underslung including artillery, light-strike vehicles and more than five tonnes of freight.